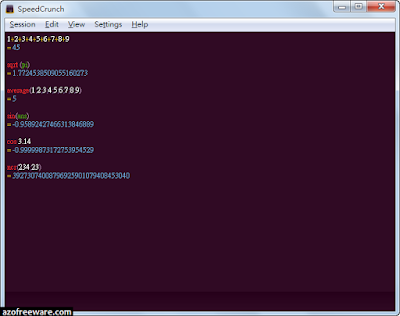 SpeedCrunch: free desktop scientific calculator for Windows, OS X, Linux. SpeedCrunch is a high-precision scientific calculator. It features a syntax-highlighted scrollable display and is designed to be fully used via keyboard. Some distinctive features are auto-completion of functions and variables, a formula book, and quick insertion of constants from various fields of knowledge.